For industrial environments, you need a storage solution that is long-lasting, durable, and flexible. Our heavy duty steel cabinets are designed specifically for these applications and are built like a tank to give you the most durable options on the market. The heavy duty steel cabinets are all-welded for extra durability and are available in two styles and three widths (36″, 48″, and 60″). Considered the ultimate in industrial storage, these cabinets allow you to store and organize a wide variety of items in one area. 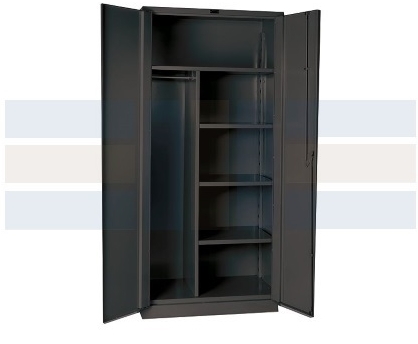 And with a heavy duty steel construction that protects against tampering, the cabinets are an excellent deterrent to theft. For keyless management, the cabinets can also be configured with digital locks. Double-hinged doors are constructed of 12 gauge steel with three 13 gauge knuckle type hinges per door. These hinges are welded to the door and securely riveted to the frame. 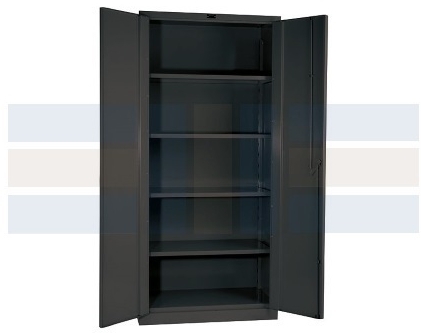 These heavy duty steel cabinets are available to buy online and ship fully assembled and ready to use. For more information or to receive additional assistance, please call us toll free at 1-855-786-766.